One of the perks of this job is getting out and about in the beautiful West Dorset countryside. 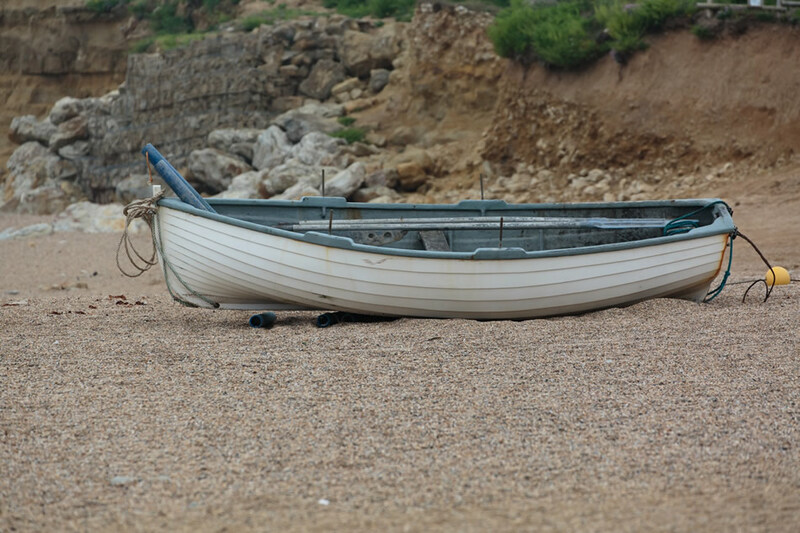 This time it was for our most recent lifestyle photoshoot which we chose to do at Hive beach, Burton Bradstock. Like most things, it sounds a lot more glamorous than it actually is, but we’re talking perks here and a driving factor for choosing this location is the fantastic Hive Beach Café. Since we moved to Dorset over 10 years ago, we have been coming here for brunch (at the hour we rock up you really can’t call it breakfast!) which has always featured the best of Dorset’s produce cooked to perfection. I know they do a great lunch and all sorts of baking loveliness at the Hive, but brunch has always been our family’s thing. I urge you to try it if you are ever in the area. So, it was a very well fed crew that stumbled onto the beach that day. 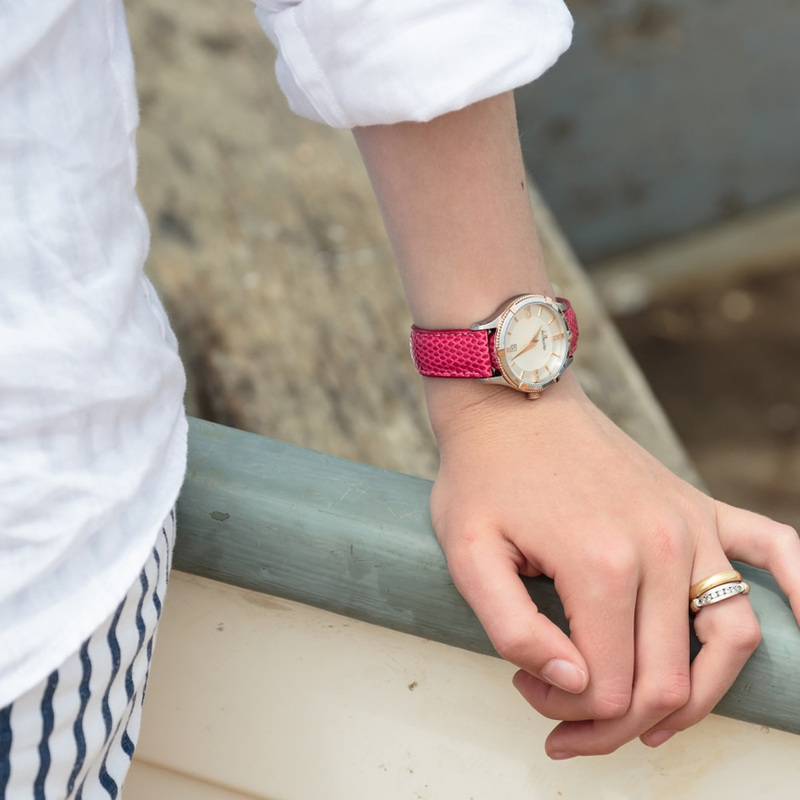 We were concentrating on our new coloured straps for the Rebecca ladies watch, which are proving very popular this summer. It’s a particularly tricky watch to photograph due to the variety of colours and textures of the dial, but we persevered and got some really lovely shots. Some of them are on our gallery page as well as the product galleries on the watch pages so please do have a look. 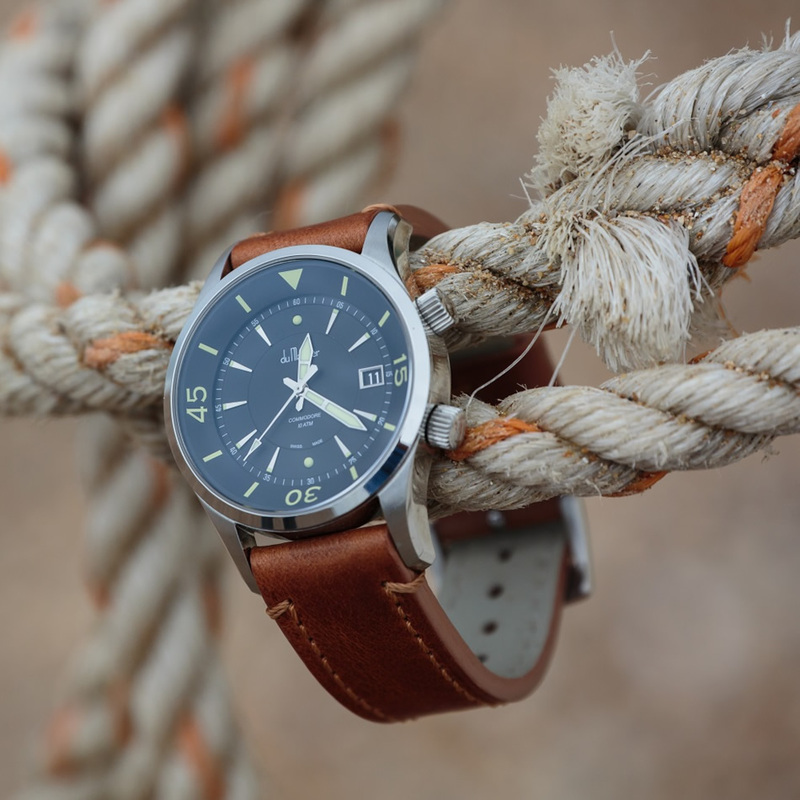 The other main feature of the day was a new tan strap for our men’s watches. It’s a particularly fabulous strap which gives both the Commodore and Maxim men’s watches a fresh new look. It’s definitely our current favourite and we can’t wait to get it out there. I’ve put one of the pics up to give you a sneaky preview, but I’m afraid you’ll have to be patient for a short while as it’s not due to land on our doorstep for another couple of weeks. With the lure of food included in the proposition, we managed to persuade the lovely Toby Ralph at Obsideo Images to take these stunning pictures and, if you look closely at the gallery pictures, you may recognise the male model as our very own Ned…he’ll do anything for a decent breakfast!